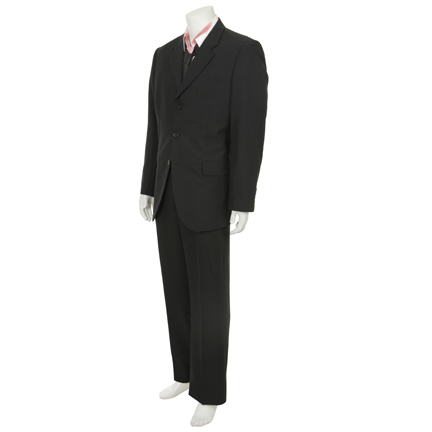 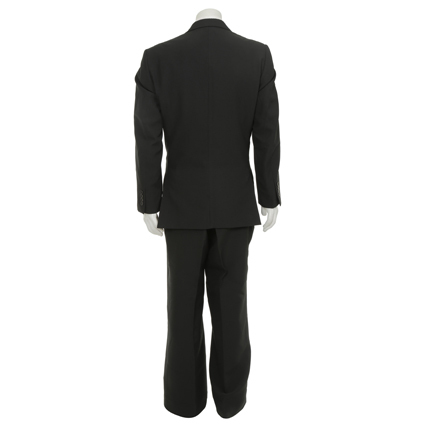 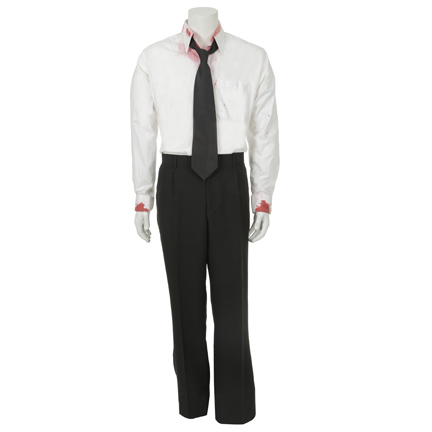 This costume was worn by the character “Andrew” portrayed by Miles Teller in the 2014 Academy Award winning motion picture “Whiplash”. 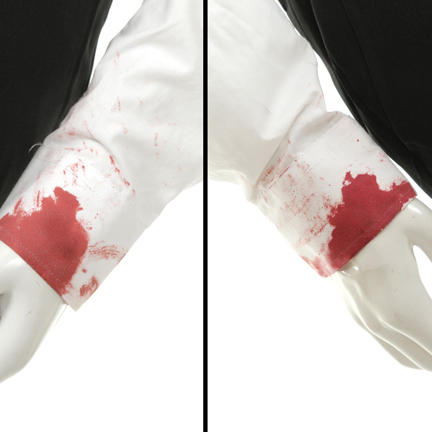 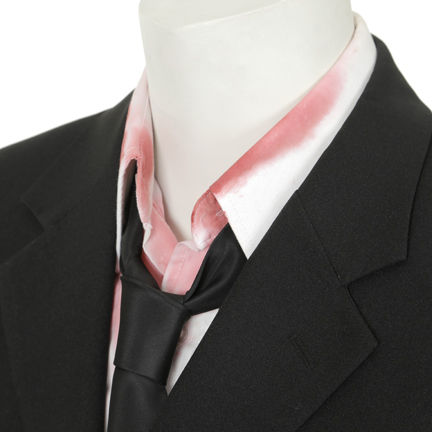 This costume consists of a distressed two piece black suit with notch lapel, welt breast pocket, two button closure, two lower flap pockets, pants with two lower front slash pockets and two welt back pockets, white button down dress shirt with faux blood stains, Hanes V-Neck t-shirt with faux blood stain, and black tie. 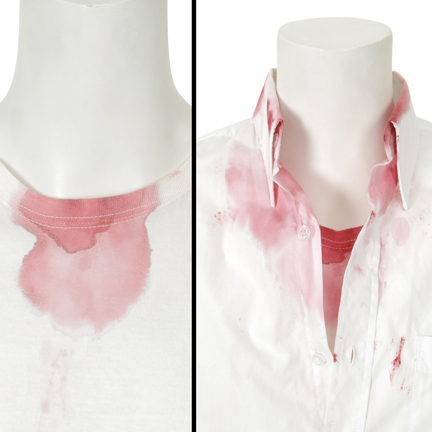 The blood stains on the collar screen when Andrew jumps over his drum set an tackles Fletcher. 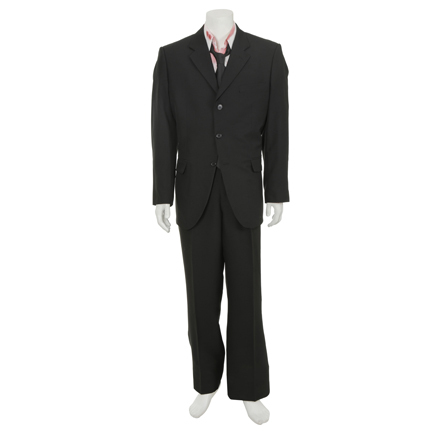 This costume was worn in the car accident scene when Andrew is speeding to the "Dunellen Competition" and gets into a car accident. 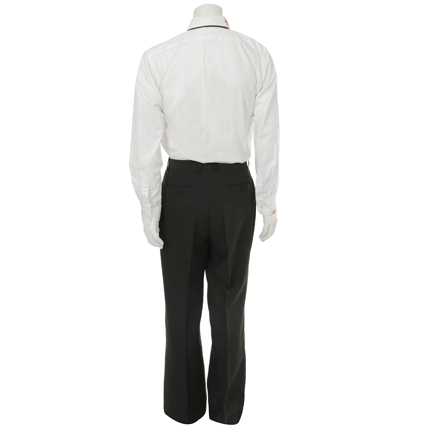 Despite the major head trauma and blood running into his eyes, Andrew runs on foot to the concert hall and attempts to perform. 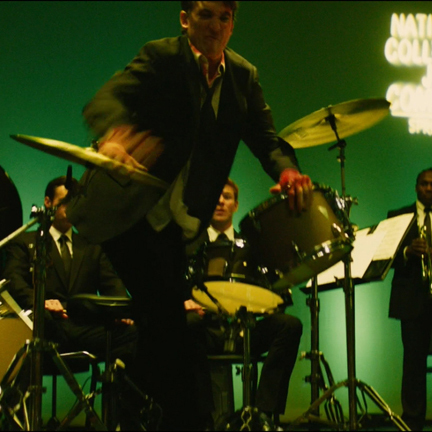 “Fletcher” (J.K. Simmons) tells him, "you are finished!” Andrew, infuriated, leaps overs the drums, across the stage, and tackles Fletcher. 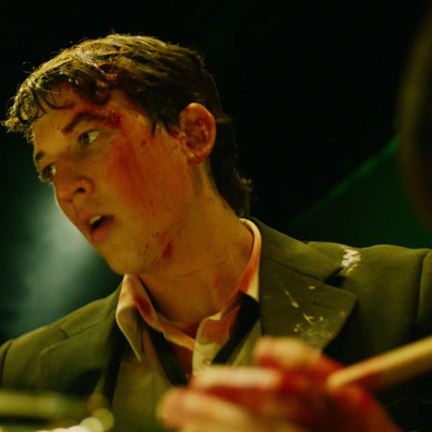 “Whiplash” is critically acclaimed and won 3 Academy Awards and was nominated for Best Motion Picture of the Year. 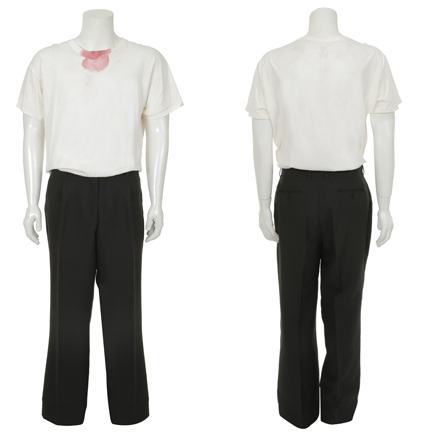 These garments are in good screen worn condition with wear from production and is accompanied by a letter of authenticity from the costume house.